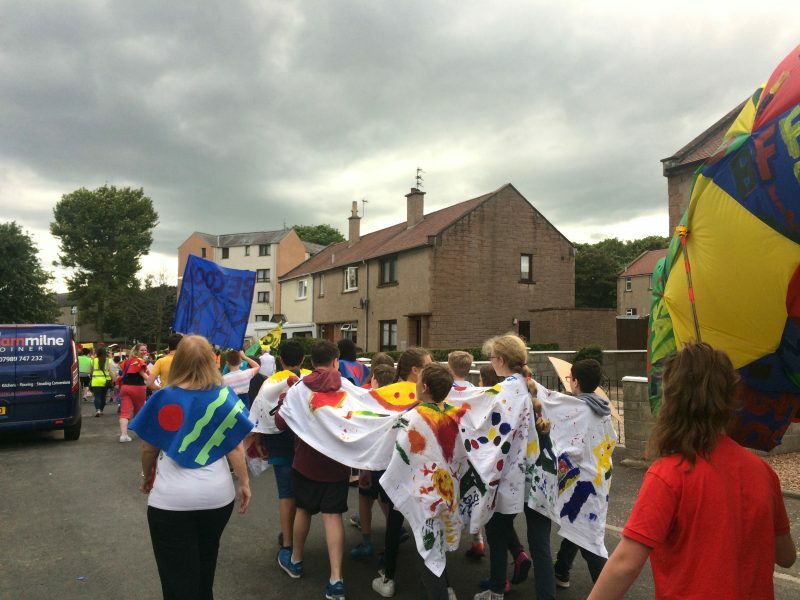 Artist duo Pester & Rossi were commissioned to design the Children’s Graduation Procession 2017, along with 400 children from nearby Timmergreens and Muirfield Primary Schools. 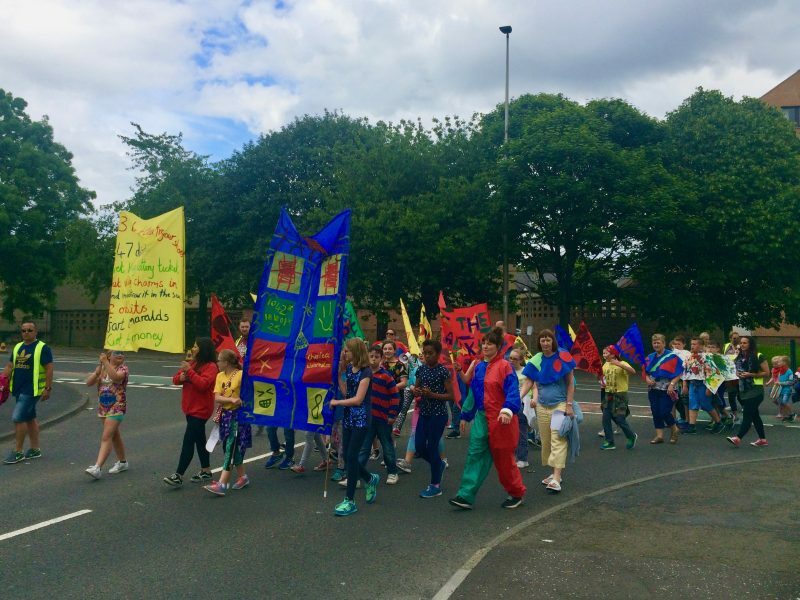 Artist duo Peter and Rossi (Ruby Pester & Nadia Rossi) designed a colourful, noisy, moving display. 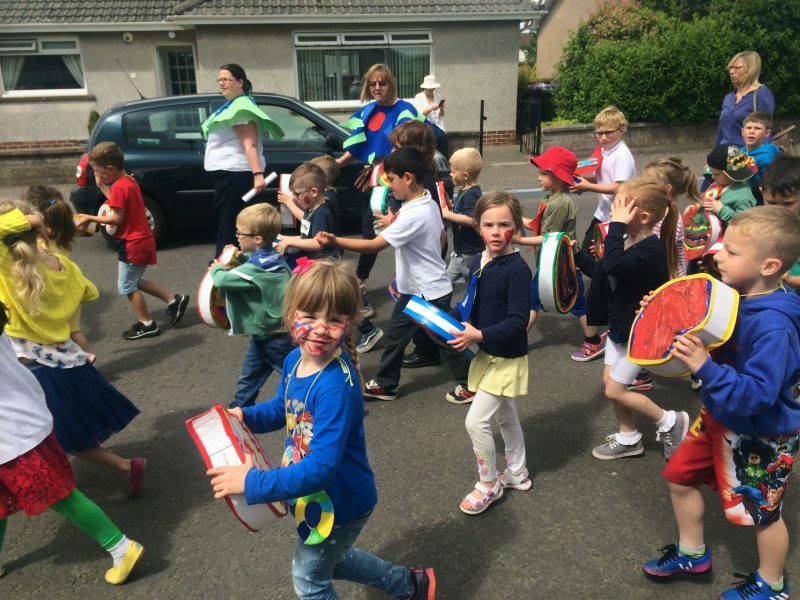 They worked with the children in the months leading up to the procession to develop ideas for the design, and to make the costumes and props. 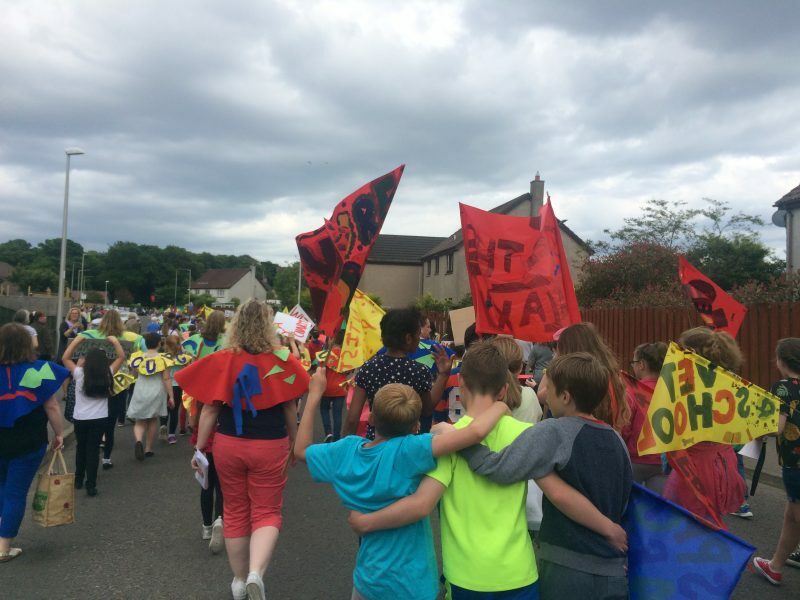 Friends, families and neighbours lined the streets on the procession route to watch, and also attended the special welcome event at Hospitalfield. 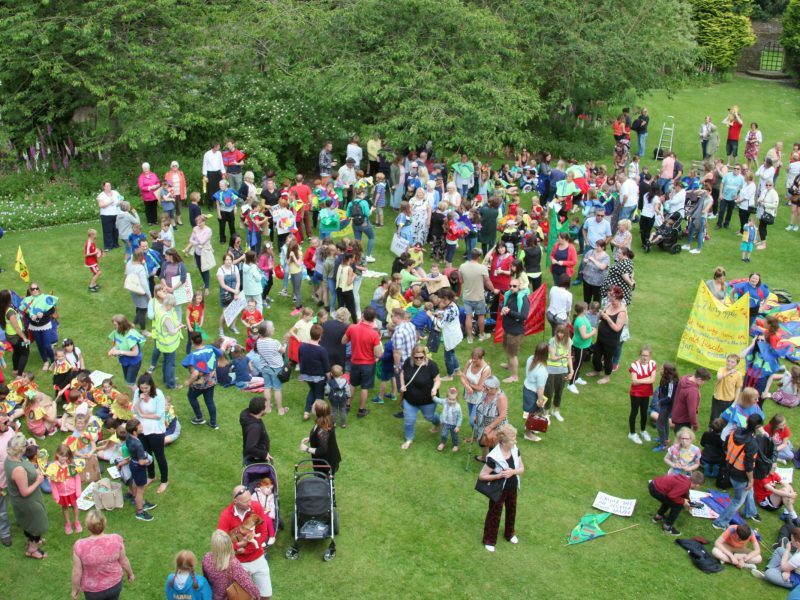 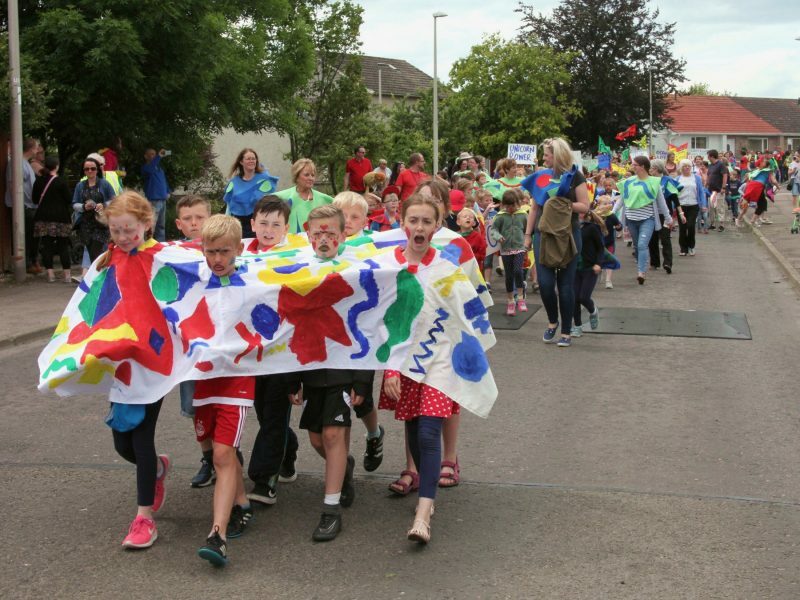 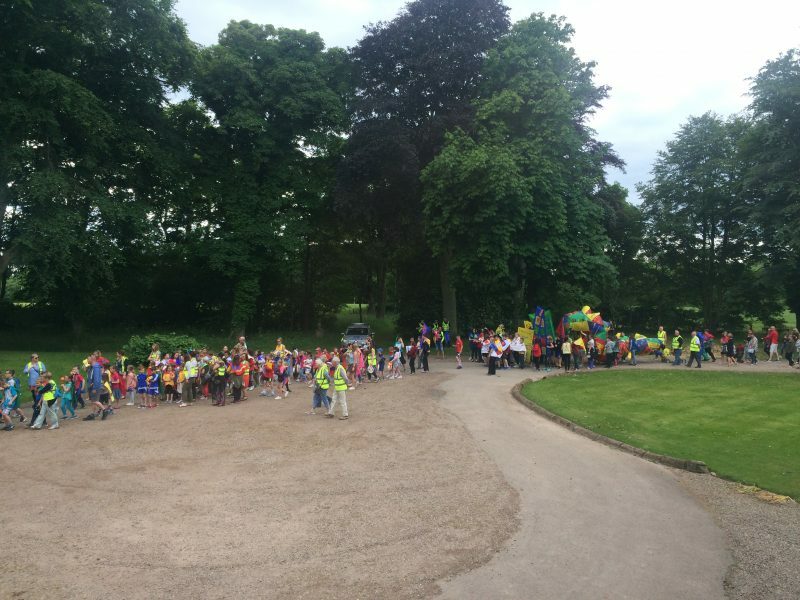 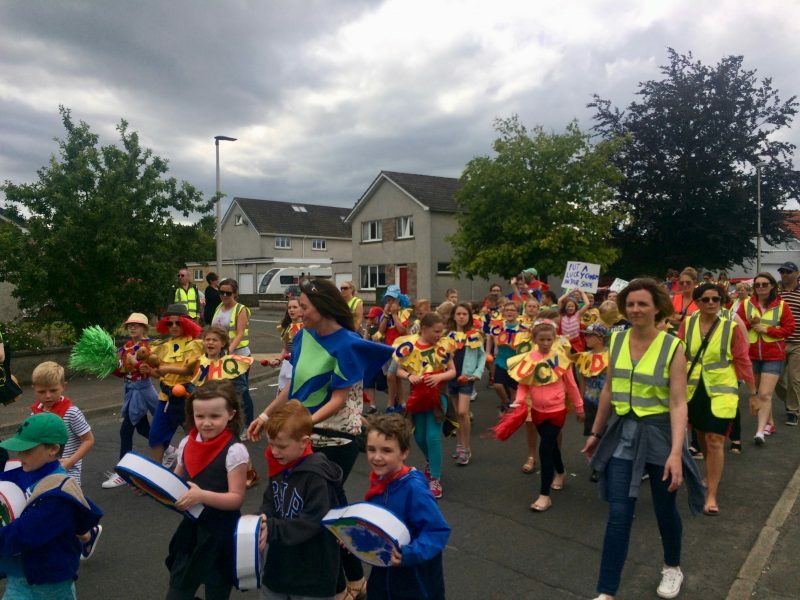 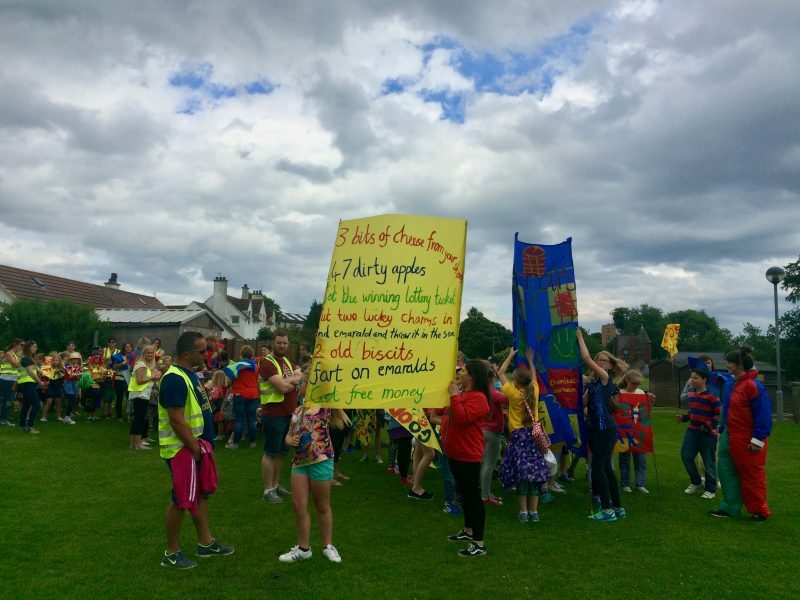 This was our inaugural Children’s Summer Procession, now a yearly event where pupils from local schools celebrate stepping forward into the next stage of their lives. 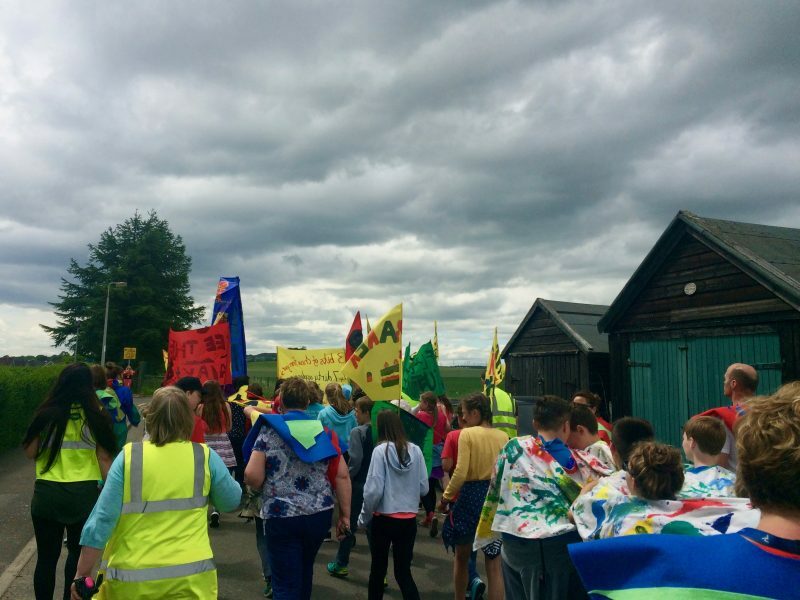 Each year a different artist will be commissioned to design the procession through workshops with the children. 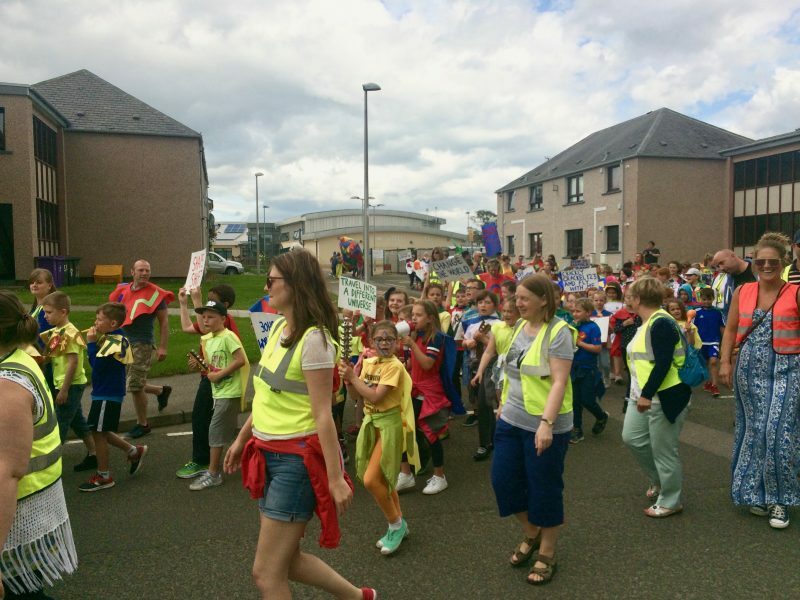 Pester and Rossi (Ruby Pester and Nadia Rossi), are a collaborative artist duo who have been working together for 6 years, producing performance projects across Scotland and beyond. 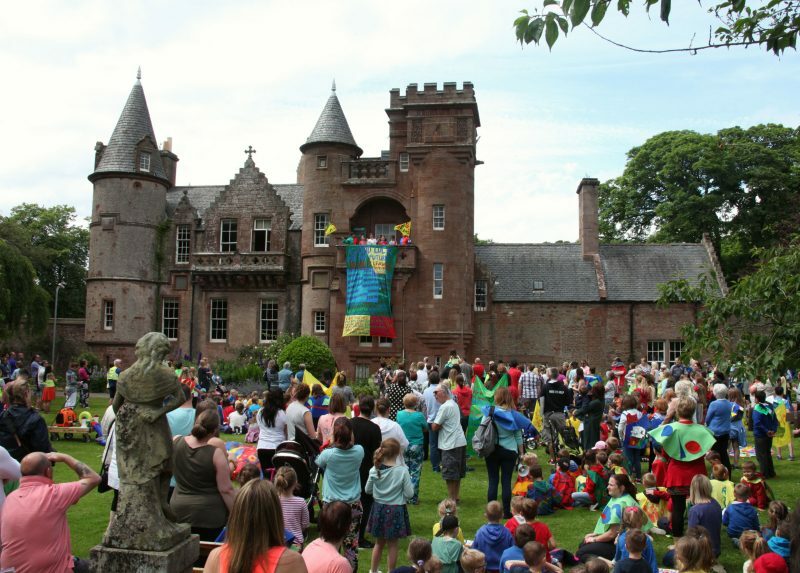 Both graduated from Duncan of Jordanstone College of Art & Design in 2008, receiving degrees in Fine Art and Time Based Art and are currently living in Glasgow, based at Crownpoint Studios. 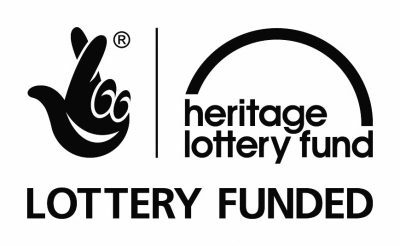 They have presented projects at Baltic 39, Newcastle; Platform, Glasgow; Suttie Art Space, Aberdeen; Stockholm Fringe Festival; Experimentica Festival, Cardiff; Retramp Gallery, Berlin; Queens Park Railway Club, Glasgow and Crawl, Dundee.